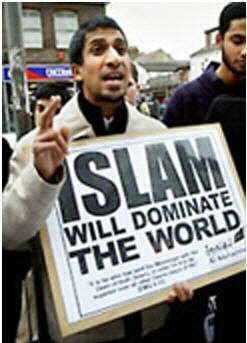 Islamist Extremists in action: "Islam will dominate the world"
"Below are pictures of Moslems who marched the streets of London during their recent Religion of Peace Demonstration. 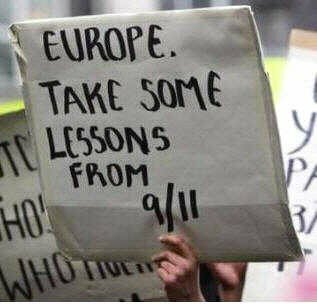 The slogans are pretty peace loving and inspiring, aren't they? 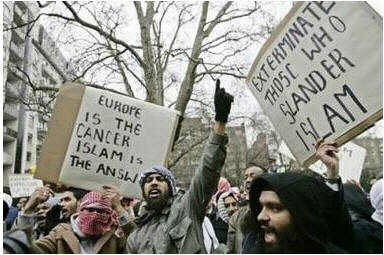 Europe is the Cancer. 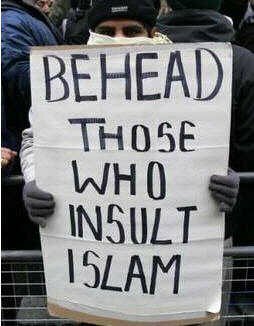 Islam is the Answer. 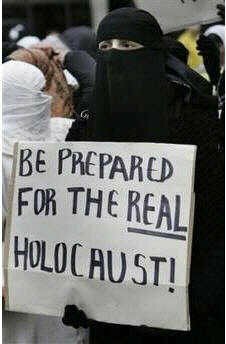 Europe be prepared for the real Holocaust. 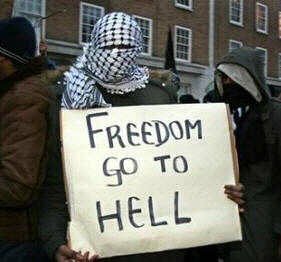 These are slogans of the religion of peace. How could anyone object? 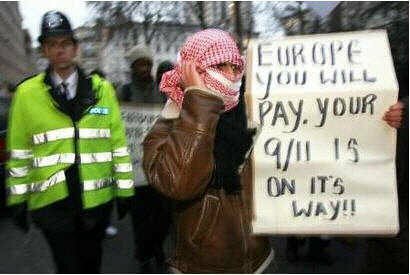 Clearly a case of Zionist Islamophobia. 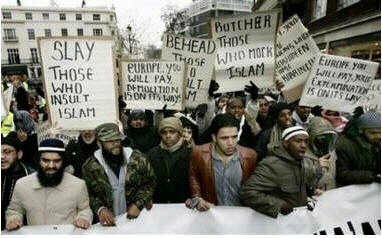 All they are saying, is "Give Hate a Chance."